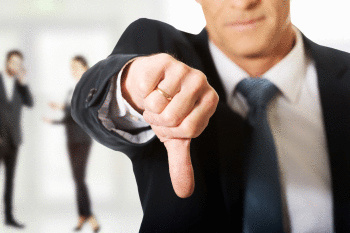 Generally speaking, we have a disgruntled and unsettled workforce with a high percentage stating that they are unhappy with their current job. Employers are often blamed! However, this may be unfair to many companies that invest huge amounts annually in maintaining their retention targets. The employee and employer relationship is similar to a marriage with both parties needing to take responsibility to grow the relationship. Open communication between all parties is critical. The modern workplace now has a much flatter management structure that facilitates easy interaction and dialogue. If you have issues, talk to your management team. Whatever the source of your frustration you need to be brutally honest with yourself so that you do not repeat these issues, and that you have the knowledge to implement steps to address them (sooner rather than later). Being underpaid is a no win situation for either party. Astute employers understand this and will regularly review each employee’s package. If your company is tardy in this aspect, it is your responsibility to talk to them about it. Do your research and identify your “true value to the market”. Print copies of your research to validate your position. Companies will not give you a “raise” simply because you have bought a new house with a bigger mortgage. The repeated theme of this article is not about job satisfaction and money, but rather workplace communication. Too often people silently grumble about their boss, their job, their pay, their benefits, their colleagues, and on it goes. A vital component of career development for any level of employee is having good “soft skills”. Soft skills are learned skills so if you have trouble communicating your concerns engage a career coach to assist you.